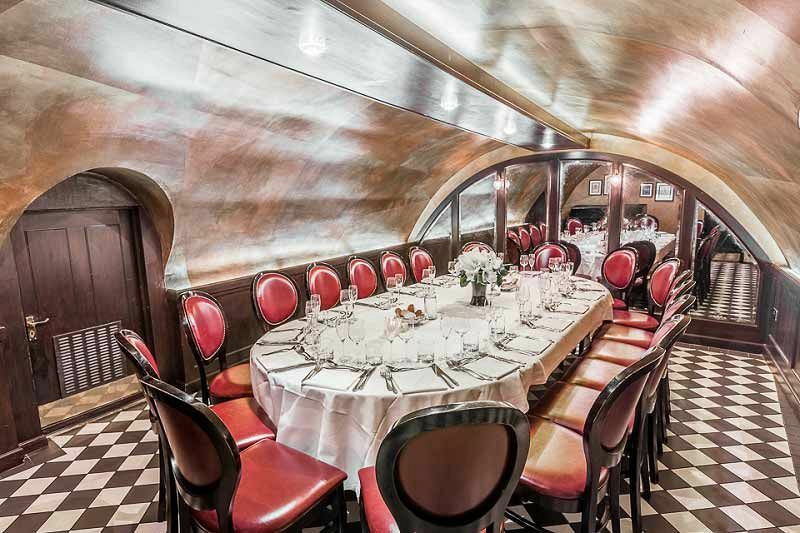 If you’re looking for a sophisticated venue where you and your team can enjoy a private Christmas dinner celebration, then we’ve got just the place for you and your group this year in London. Situated in the city’s Covent Garden, you and your team will make your way to this popular venue located just to the East of the historic Piazza area, which overlooks the bustling market area. Covent Garden Tube Station is also within close proximity, making it convenient to arrive and depart the celebration. 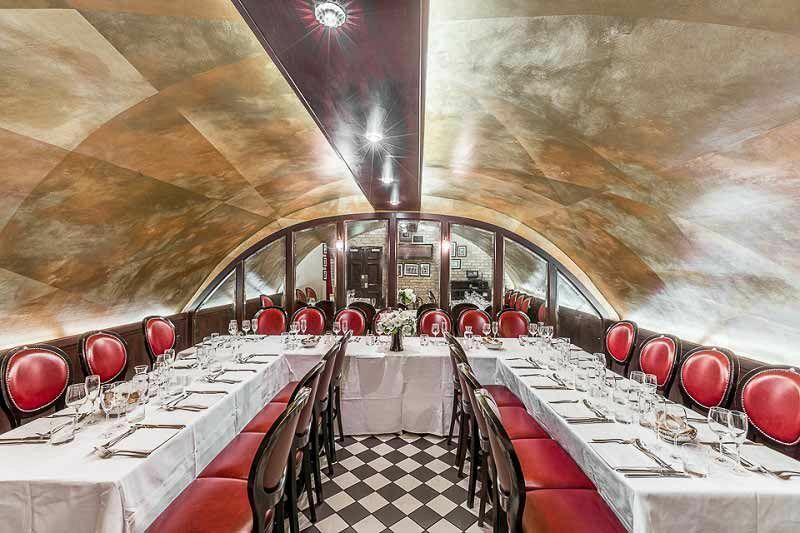 You’ll enjoy private hire of the venue’s ‘Vaults’, a stunning underground space that’s rich in character and style. The atmosphere here is relaxed, friendly and welcoming and you’ll be able to rely on the dedicated team here to provide you and your group with an extravagant night of dining. On arrival, each guest will enjoy a chilled glass of Prosecco to mark the start of the evening. Catch up with friends and colleagues as you sip upon your drinks and feel the tension of the past working year slip away. During the night, you’ll indulge in a fabulous three-course festive dinner; there’s an incredible choice on the menu which includes meat, fish and vegetarian options, with several dishes available for those with gluten free requirements. Each dish has been created using the finest, seasonal ingredients which will be sure to provide everyone with a true taste sensation. Freshly brewed tea and coffee will be served to conclude the dining experience. Make your Christmas celebration in London one to remember this year with an incredible dining experience in these spectacular ‘Vaults’. Send an enquiry through to this venue today!